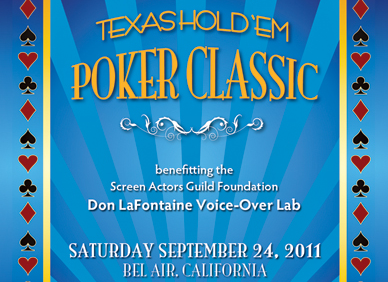 As I will be Faffing that weekend, I will not be partaking in the fun but I know some friends of mine who are and I think they’ll have a great time at the Texas Hold’em Poker Classic to benefit the Screen Actor’s Guild Don LaFontaine Voice Over Lab. The event will take place in Bel Air, California on Saturday, September 24. You’ll have the opportunity to network with some pretty connected people in the voice over world. And it’s a poker night so what’s not to love…I used to enjoy those weekly back in the day. There are still some seats available and information on the event can be found here. True to his word, George Whittam recorded the entire opening last night. If you weren’t there (and most of us weren’t in spite of generous invitations) here’s what you (and I) missed. The ribbon cutting takes place at about 19 minutes in. 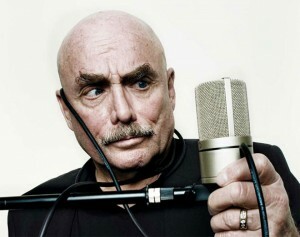 watch the opening of the don lafontaine voice-over lab LIVE! Tonight at 7PM PT/10PM ET, co-founder of the Don LaFontaine Voice-Over Lab, George Whittam, has announced they will stream the opening ceremonies. Here are the details from George’s email. 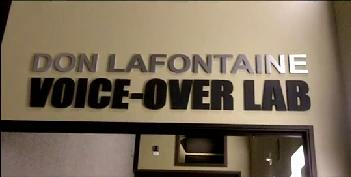 The grand opening of the Don LaFontaine Voice-Over Lab is finally here! After working tirelessly for over 6 months on this incredible project the world will finally get its first glimpse of what George Whittam, Joe Cipriano, Paul Pape, and the SAG Foundation dreamed up to honor the legend of Voice-Over. So far over 300 people have RSVP’d to attend the big night Friday June 25th. For those of you who are unable to be there in person tune into the Live Stream from the ERS website to keep tabs on the party! Visit this link Friday June 25, 2010 from 7-9pm (PT). PromaxBDA and Brief Magazine are proud to present the 2nd Annual Don LaFontaine Legacy Award to Joe Cipriano. 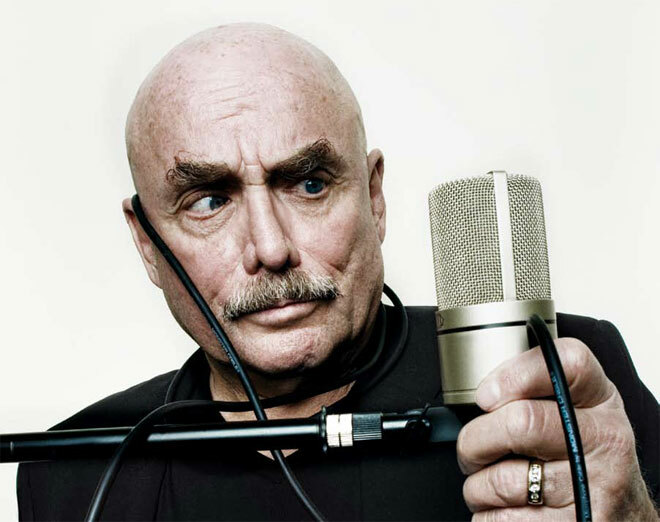 Created collectively by PromaxBDA and Anita LaFontaine to honor the name, memory and defining legacy of one of the world’s most famous voices, the Don LaFontaine Legacy Award recognizes a voice of impact as determined by a specialized industry committee. Through the criteria filter of character, longevity, talent, professionalism and the passion for giving back, this year’s recipient embodies much of Don’s defining legacy. Joe Cipriano has worked on the air for the NBC, ABC, FOX and CBS Television and Radio networks, and has been the live announcer at high profile events including the Grammy Awards and the Primetime Emmy Awards. Cipriano has more than 20 years of voice talent experience. Don LaFontaine, whose immediately recognizable voice was featured on more than 5000 promos and trailers over a period of more than 30 years, passed away last year. Cipriano will accept the Award at the 2010 PromaxBDA Promotions and Marketing Awards scheduled for the final night of the three day PromaxBDA Conference. The Don LaFontaine Legacy Award was introduced for the first time at the 2009 Promax Marketing & Promotion Awards celebration as part of the 54th annual PromaxBDA Conference. The PromaxBDA Awards competition is dedicated to celebrating excellence in marketing, design and creative content in the entertainment industry. 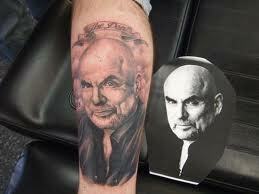 Most folks in voice over are aware of who Don LaFontaine was and what an enormous impact he had on our industry. He was our public face and best of all our public voice. Don’s friends and fellow voice talents Joe Cipriano and Paul Pape have been the leaders in establishing the Don LaFontaine Voice-over Lab inside the Screen Actors Guild Foundation. This will create a studio where union talents can attend classes and record free of charge. All this in recognition of Don’s legendary generosity to other voice talents. I’m not a Union voice actor presently so I can’t use the facility…so why will I financially support it? Why am I asking you, my readers, to do the same? Because, as Don knew and showed through his actions, it is the right thing to do. For the full catalog of promotional videos promoting the Don LaFontaine Voice-over Lab inside the Screen Actors Guild Foundation, please visit the always enjoyable blog of George M. Whittam but in the meantime here’s a video of support for the Lab from one of Don’s very satisfied customers, Entertainment Tonight.